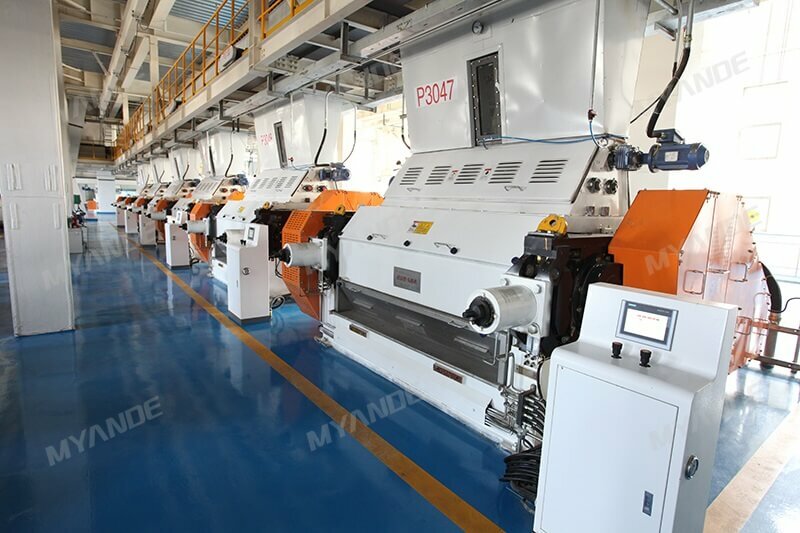 soybean white flakes preparation technology For Sale | Myande Group Co., Ltd.
White flakes preparation process includes Cleaning, Dehydrating, Dehulling and Flaking. In this process, we preserve the water-soluble protein, meanwhile, prepare the soybean flakes for solvent extraction. Typically extracted wet soybean flakes are removed of solvents, dried and cooled in a Desolventizer, Toaster, Dryer, Cooler, short DTDC. A meal with high or low protein content is created for further use in the feed mill industry. 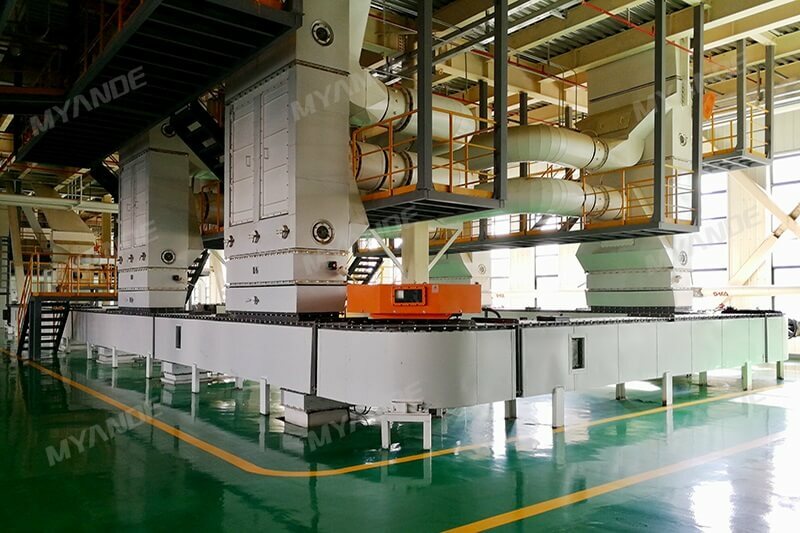 The white flakes process differs mainly from the traditional meal process in desolventizing at a lower temperature without denaturing the proteins, to produce white flakes destined to human consumption. 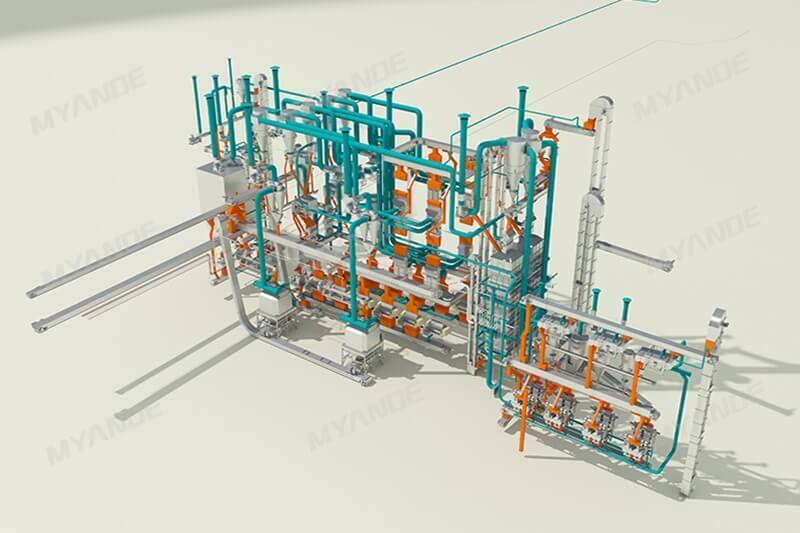 Myande Low-temperature Desolventizing Drum is intended to produce white flakes for the production of white flour and grits, of extruded and textured soy protein, or for the production of other soy-protein products for human consumption. 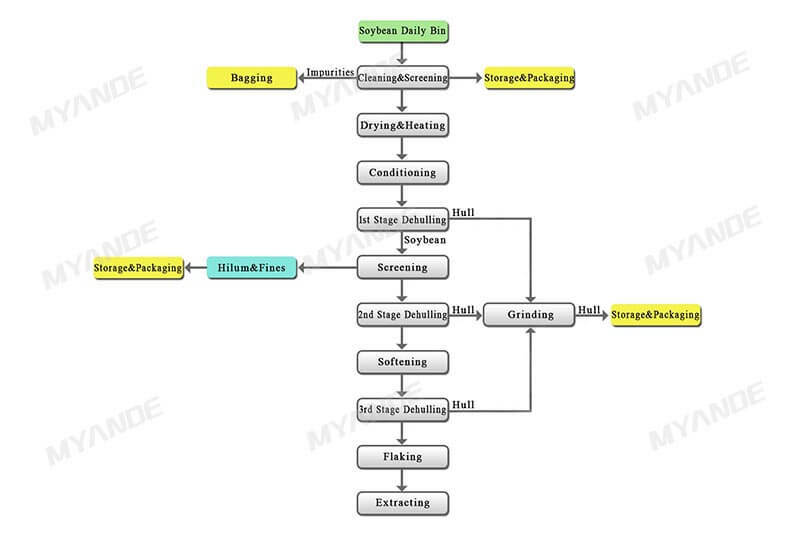 From daily warehouse or silo, soybean is conveyed into the preparation line. 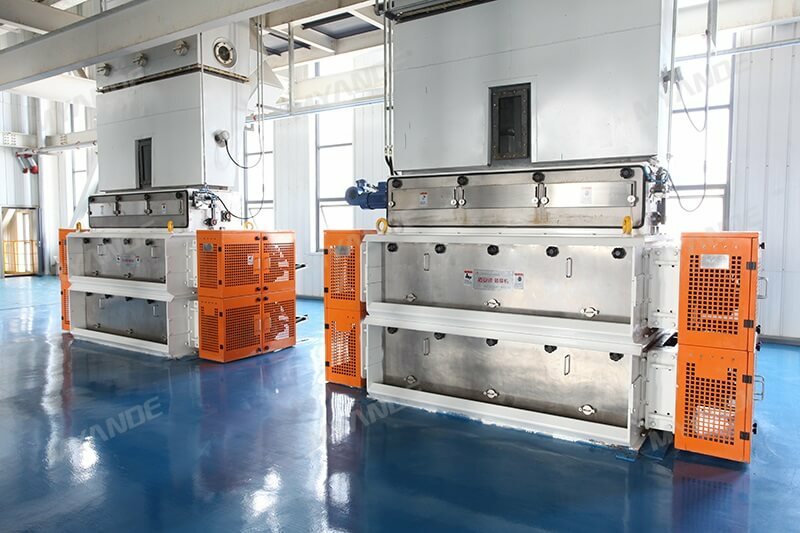 The purpose of cleaning is to remove impurities, for improving the quality of final product. 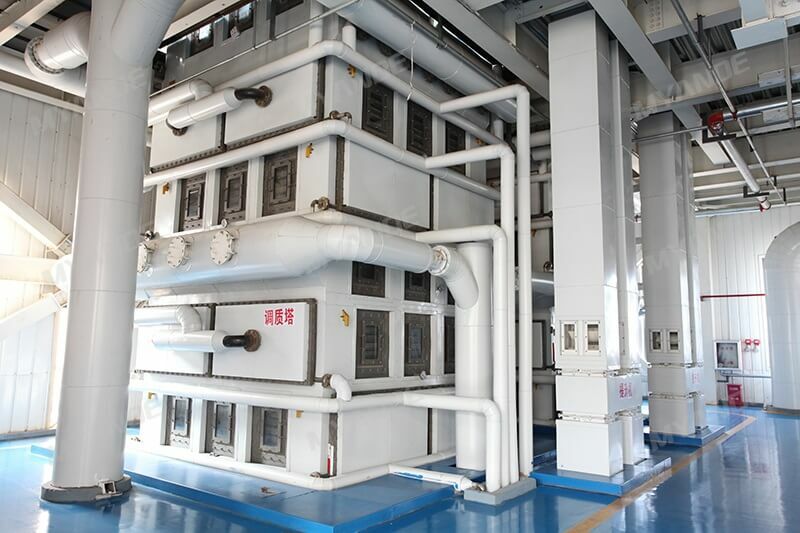 Moisture and temperature of soybean are adjusted by Vertical Conditioner, so that soybean can be easy to be shaped. 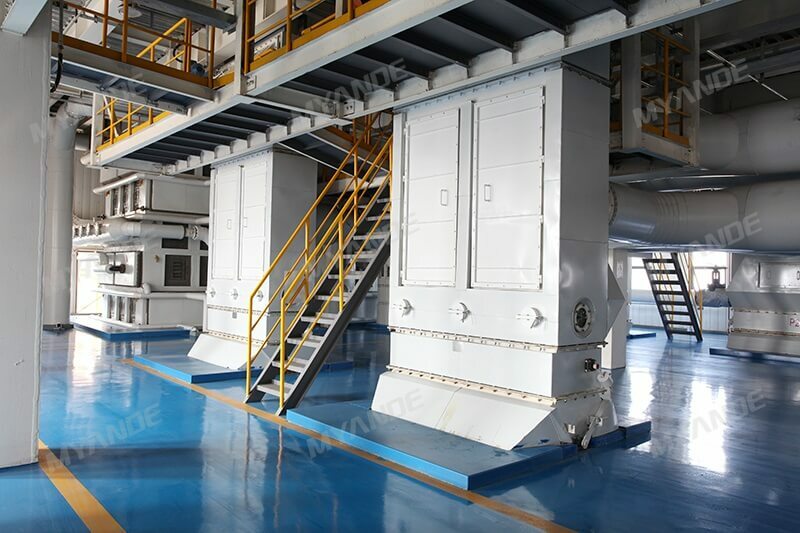 The process aims to achieve high dehulling rate, small powder degree and low protein denaturation. Jet Dryer is widely used to heat soybean for a relatively short time for easy dehulling and minimize protein denaturation. The purpose of cracking and dehulling is to improve protein content and reduce fiber content of soybean meal. 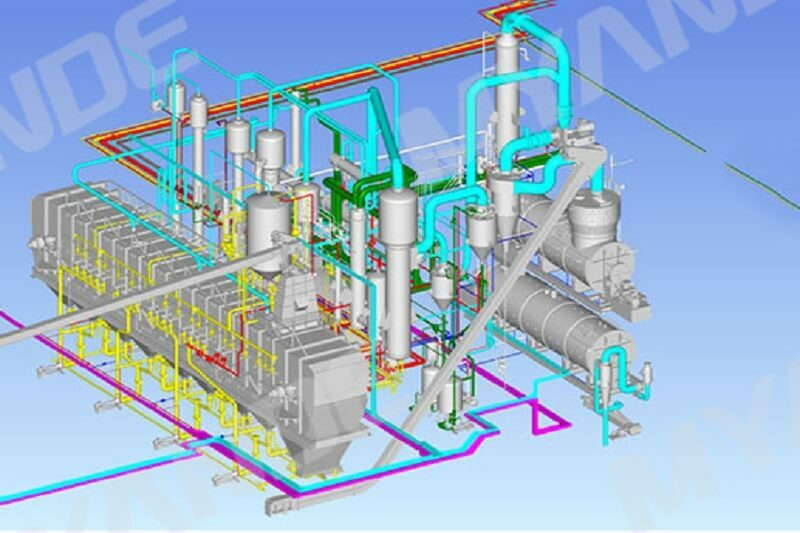 In addition, it can enhance extracting efficiency and reduce residual oil contained in the hull. The purpose of softening is to adjust the moisture and temperature of soybean, in order to make soybean easily to be shaped. Meanwhile, the stirring fin can loosen soybean skin and greatly improve the peeling rate of the subsequent peeling system. 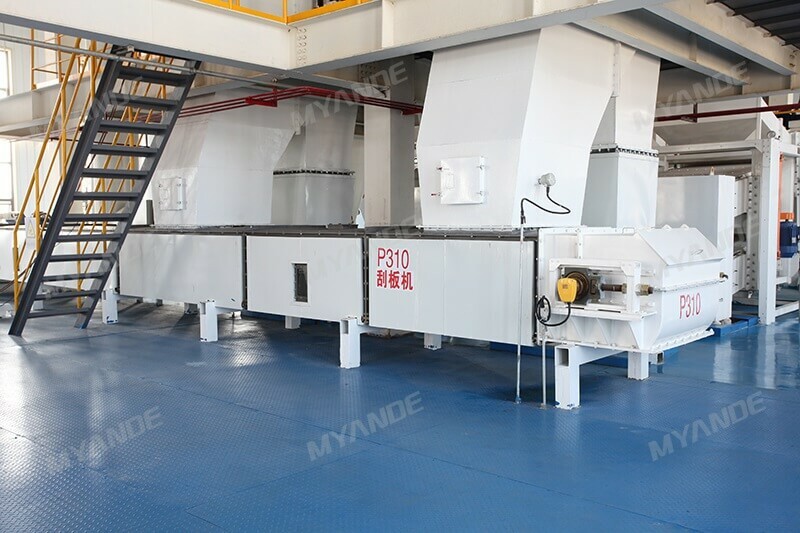 The purpose of soybean hulls crushing is to change bulk density and sense of hulls for subsequent processing of aging and pelleting sections. 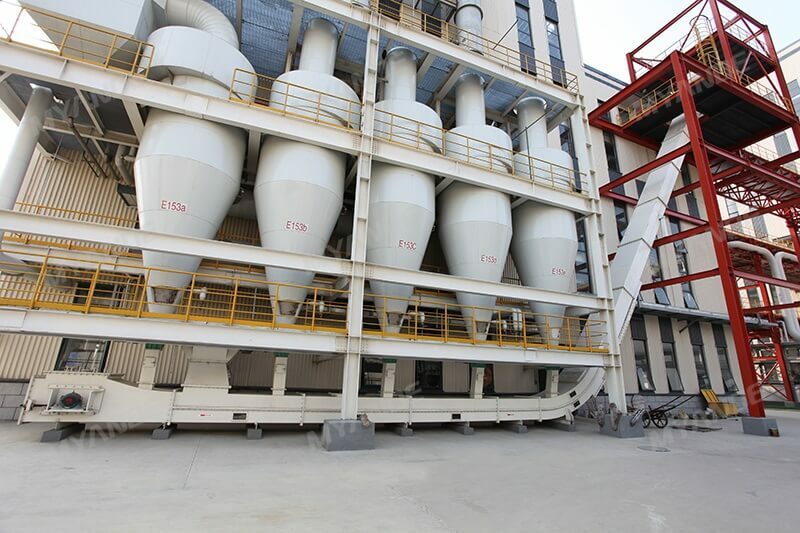 The granules of crushed soybean hulls should not differ too much from which of crushed soybean meal. 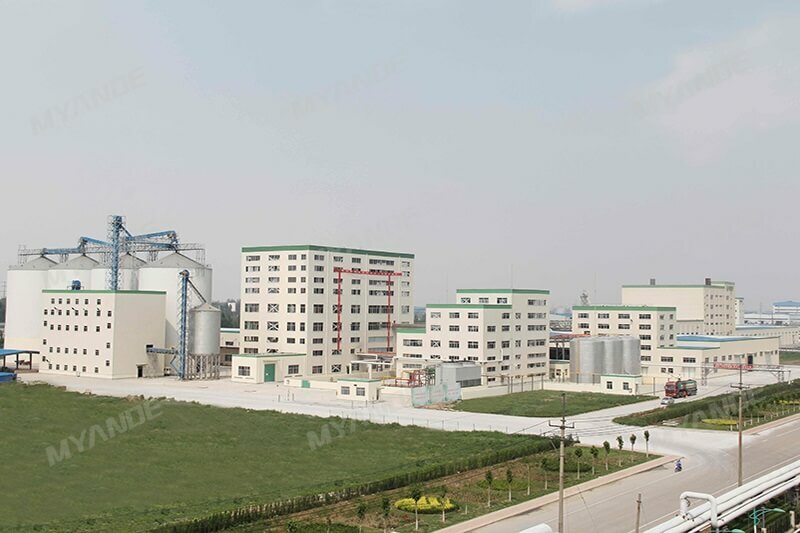 So the quality of finished soybean meal will not be affected by blending such crushed soybean hulls while achieving the purpose of adjusting protein content in finished meal.